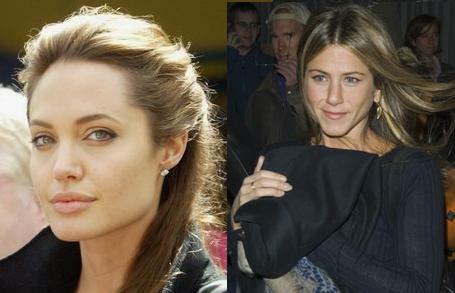 Angelina Jolie & Jennifer Aniston: Who Is Most Valuable Face? Angelina Jolie and Jennifer Aniston go head-to-head in a new list of the Most Valuable Faces in Hollywood. Forbes has taken into account the sales of popular consumer weekly newspapers and magazines, People, Star, US Weekly, In Touch Weekly, Life & Style and OK! to work out which cover stars send magazines flying off news stands. Brad’s current partner beat his former wife into second place in the list, after an eventful year, which saw her give birth to twins. His adorable daughter also made it to the list as Shiloh Jolie-Pitt got the eight spot. Last year saw Jennifer Aniston in poll position but, despite a highly publicized romance with singer John Mayer, her face value has plummeted.